Are you looking for cheap storage? 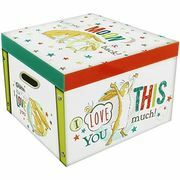 Here you can find the latest deals for boxes, shelves, holders, tupperware and holders. If you're looking for a bargain shoe rack, lunch boxes, or drawers to put your socks in - here our deal hunters find and put the best discounts to help you save money. Storage deals from Amazon, Ebay, Wilko and more. You'll also find information about upcoming sales such as at Sainsbury's, Tesco Direct and Argos. This is a great way to keep things tidy and organised. A bargain hunting must! 3-Tier Wicker Basket Wooden Storage Unit - 2 Colour Options! 50% off Beautiful Green Storage plus Seat! Edith LED TV Storage Unit - 5 Designs! 350L Garden Storage Box - Large! Stylish Folding Ottoman Storage Box in Grey Crushed Velvet. It’s not always easy to keep our clutter down to a minimum, but having the right storage solutions within your home will help to keep everything in tip-top shape. Clever storage solutions are a great way to keep your home organized and clean. Storage helps keep clutter at bay and can turn even the smallest nook into a space to keep your things. Storage is generally a very practical consideration but, with a wide range of customisable systems you can choose from online, you can use your storage solutions to inject a bit of style and personality into any room of your home. If you’re looking for cheap storage deals in the UK, you’ve come to the right place. Here at Latest Deals you can find the best offers for boxes, shelves, Tupperware and holders. We have everything you are looking for, whether it be a bargain shoe rack, lunch boxes, or drawers to put your socks in or price drops for wardrobe storage boxes, wardrobe storage systems, drawers, hanging storage and wardrobe organiser in the UK, your needs and budget are taken care off. We have a massive team of money-saving experts and bargain hunters who are always on the lookout to find the best possible storage deals, offers, sale, promos, discount codes and voucher codes from online UK retailers including Amazon, HomeBase, Robert Dyas, eBay, Tesco, Argos, Lidl, LittleWoods and so much more! From bedroom to kitchen, Argos have everything to neaten up your home. Keep your home clutter free with storage boxes and handy units for all your bits and bobs. Some slip under the bed to save you space, while others have handles, ideal if you're moving house, as they're easy to lift and shift. 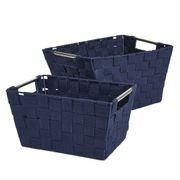 While you can your home looking sharp with their range of storage baskets and boxes. Their cheap clever storage solutions will help you organise everything from DVDs to gardening tools. Argos also offers as much as 20% off on selected storage with same day delivery for only £3.95, though there are items that come with free delivery as well. Keep your rooms tidy and organised and find the perfect shelving or storage unit to complement your home decor by browsing the wide range at Tesco Direct. Easily create extra storage space with our range of towers, Discover stylish wicker basket drawers, versatile plastic organisers, and more. Tesco also offers great savings which range from £1 to £50. Plus if the item or items you want are not in-stock, simply click Request stock alert and you will be notified once they are available for purchase. You’ll find great prices on a wide range of products for garage and outdoor storage, as well as lockers and on Amazon. 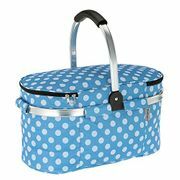 The Home & Kitchen section here offers a great selection of shopping bags & baskets, food storage, racks & holders, dressing & Spice dispensers, preserving & more at everyday low prices. Plus free next day delivery on eligible orders for Amazon Prime members. IKEA UK offers storage furniture that gives everything a home. From wardrobes and bookcases to display cabinets and simple shelves, storage furniture helps you give all your things a tidy place of their own. With their storage solutions you can combine different elements like shelves, drawers, cabinets and more — to build a unit that's perfectly suited to you, including cube storage units. They offer suggestions on what goes well together, but ultimately you get to decide the best way to show off and store your favourite things. They also have a range of small storage products and find storage ideas and solutions for your home. Do I need more shelf space? Do I need more hanging space? Should I get a taller wardrobe? Could I do with a couple of drawers? Depending on your preference of clothing storage, you may decide that you actually need more space to hang your clothes than you do space to fold them. Different combinations of interior storage space are available with all sizes of wardrobes. Choosing a modular wardrobe allows you the flexibility in mixing and matching shelves, drawers and hang rail length to suit you. Do not be tempted to just fill each cupboards in your home and shut its doors. Cupboards may look neat, but they can also make your room look smaller as compared to having shelves. Keep in mind, that you are also not confined to just wall shelves. Shelving units that double as open-plan room dividers provide a flexible solution that can be used just about anywhere in the house. Flexibility is crucial when buying storage units. Freestanding bathroom shelves and cabinets offer a cheaper and far more versatile solution to keeping your home’s clutter at bay. Rather than allowing you to push your old stuff to the back of the cupboard, these tiered caddies keep them out in the open, which will help you control your collections of lotions and potions. It is also more flexible than having fitted cupboards as you can easily move them around your space to suit you and can even be repurposed as storage units in any other room of your house. Similarly, blanket boxes are not just for bedrooms. They are a stylish, fuss-free way to house all your home’s paraphernalia. It is important to have somewhere to keep your keys, letters and life’s essentials in the hall. Keep in mind that a clutter-free hallway creates a beautiful entrance to your home. Bookcases and shelving units are not only a practical piece of furniture to store all of your books and knick-knacks but can also transform your room to create a statement. You can use bookcases to utilise your nooks in your home, it can be used as a wall divider, or placed in the hallway or living room. All of these will affect the style you may choose. This storage solution is also a great way of expressing who you are and having a bit of fun, whether that be choosing a bright colour or using scale to make a dramatic look. Or perhaps you have a shelving unit that is quite pared back and you use your belongings to create something for people to talk about when they visit. When buying, make sure to consider the space of your home and why you are thinking of buying a bookcase or shelving unit. If you need a space saving solution then you may want to consider a ladder storage as this works by ensuring the footprint of the storage is minimal but the function isn’t compromised. Also makes sure to also think through what you want to store on the shelving unit, books, DVD’s, Vinyl’s, artwork or vases as this may effect what type of unit you buy. Practical storage or statement piece of furniture may determine what piece of furniture you buy. Modular storage is great versatile storage as you can flex the shelving unit to work best in your space, whether this being adding different functions or building different units next to each other to create an entire wall of storage. Bookshelves are not just for books, use it to show off your personality and have a look here at Latest Deals for home accessories such as vases and frames to mix in some personality. If you have an open bookcase but you have got things you want to hide you can always use storage jars and baskets to conceal mess away. Where can I get a cheap lunch box?